You can choose any three illustrated map postcards for the great price of £4. 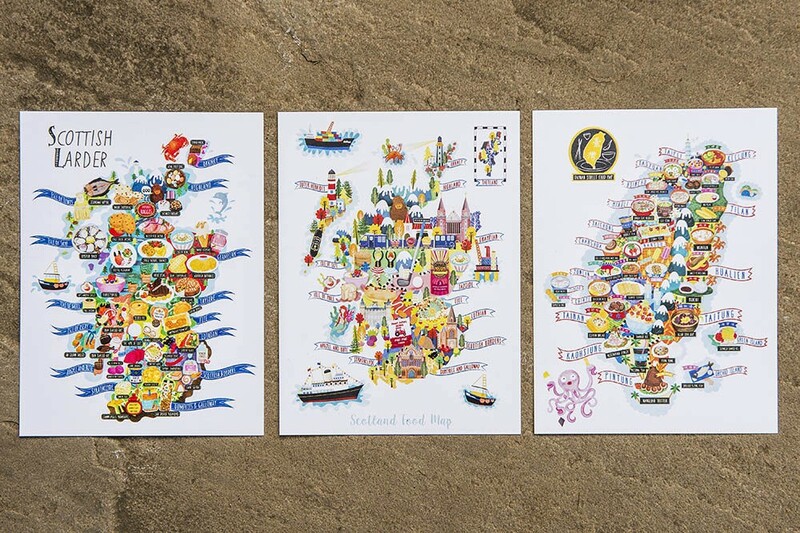 You can choose three map postcards from USA, Japan, Mexico, Scottish Larder, Scotland Food Map, Taiwan Street food map and Spain). After you have paid for the product, please contact me via Etsy message or my email; liv(at)livwanillustration.com to let me know which 3 of the map illustration postcards you like. I’m now also doing a wholesale service, so if you are a retailer and are interested in my postcards, prints and notebooks, please contact me anytime. If you would like to order the whole set of 7 illustrated map postcards also contact me.